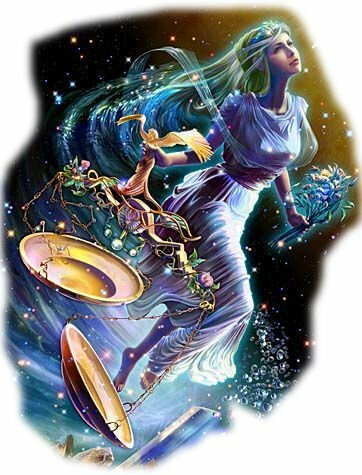 Auspicious Days |News |Weather |Dharma |Yoga |Ayurveda |Vastu |Favorites |Contact | Sitemap |Guestbook |Links Libra Horoscope Predictions for year 2015. The movement of Saturn in the 2nd house is a bad period called �Lagna Aerashtaka� in Vedic Astrology and currently you are passing a such period. This year denotes change of working conditions. This is a period you may think of finding a new job, a business activity or a promotion. A good time to start new ventures or apply for loans. Should be of firm views and practical in order to gain the benefits from this transit. Will get a chance to learn new things, new ideas or meet new people. Should be careful of engaging in risky activities. In such situations you should expect, high expenses but may gain small profits and less frequently. Loss of profits or decrease of income. Those may likely to get you a bad name or displeasure of superiors and change of place. Illness and loss through service and one may hear displeasure of superiors and Govt. opponents will becomes active and you may experience loss and humiliations through them . Hence doing remedies for Saturn and checking your horoscope and getting professional advice is a good idea. Purchase of new expensive items, good food, increase of the name and fame in family and friends circle, happy long tours, to places of interest such as visit to birth place or relatives, will meet close relatives or friends whom you have not seen for a long time allowing you to renew the friendships or contacts. New additions to the family such as marriages or birth of children, pleasant functions. Should be very patient in handling day to day affairs and matters. Otherwise a difficult period for the family members, silly quarrel, misunderstanding and arguments can disturb the peace and tranquility of the family, people jealous of you can cause problems, a pleasure seeking attitude with chances to be involved in romantic situation may cause un based accusations and unhappiness in the family. High expenses will make the overall financial position difficult. Sometimes the income due, may get held up resulting losses or getting loans to cover expenses with financial stress, reduced comforts, disturbed peace of mind, gain of wealth but loss thereof. Possibility of being victimized by the dishonest conduct of others. A difficult period in regard to your health or the health of the family members or children, will be inclined to do physical exercises fitness and hygiene related activities.